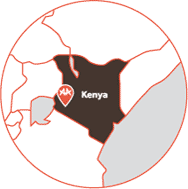 Mwiruti Primary School is one of 200 Schools trained in Child to Child (CtC) learning. The school established an Ace Child-to-Child Club to enable children to actively improve and promote their own health and that of their families and community. Teachers encourage discussion on various topics such as HIV and AIDS, substance abuse, hygiene, agriculture and child rights. During public days such as “The Day of The African Child” children participate by performing songs, poems and stories related to health and well-being. To date, approximately 350 individuals have been involved in public sanitation outreach events and parasite jigger’s eradication campaigns. The children have become community health educators and have successfully increased hygiene in 750 households through the installation of leaky tins and dish racks in the home. 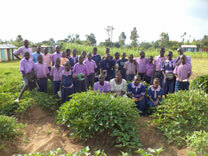 The club also established a community garden where the children are taught agricultural techniques. As a result, 70% of the children have embraced the techniques at a household level, preparing them for their responsibilities in the future.